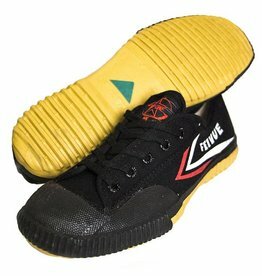 Thinly padded sole to feel the ground beneath your feet. 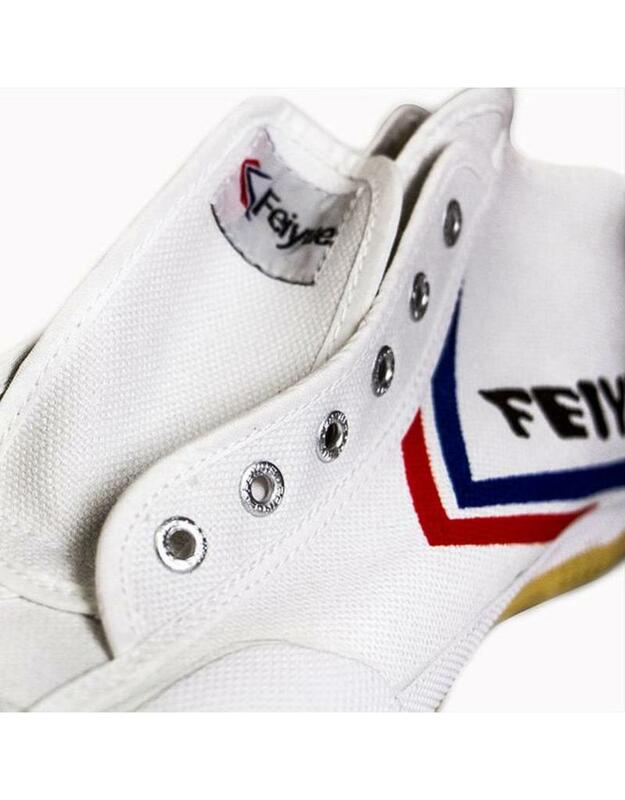 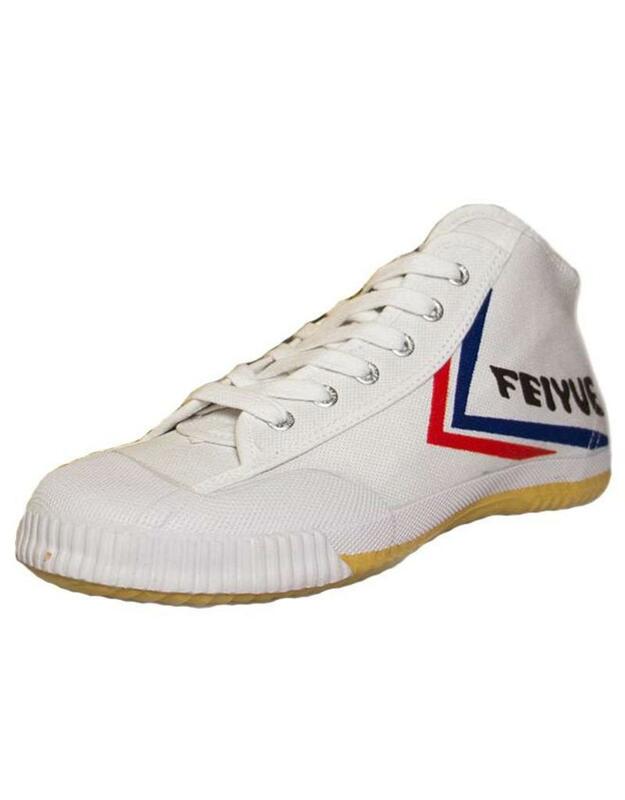 These amazing Feiyue High Tops White Shoes aren’t just used by Kung Fu practitioners. 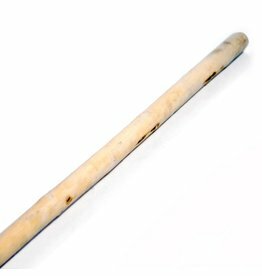 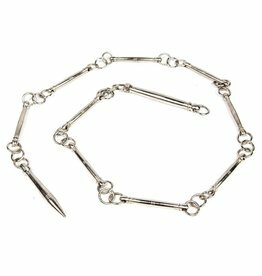 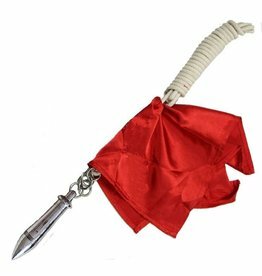 I get a stream of circus guys wanting them for for Chinese Pole and slack rope. 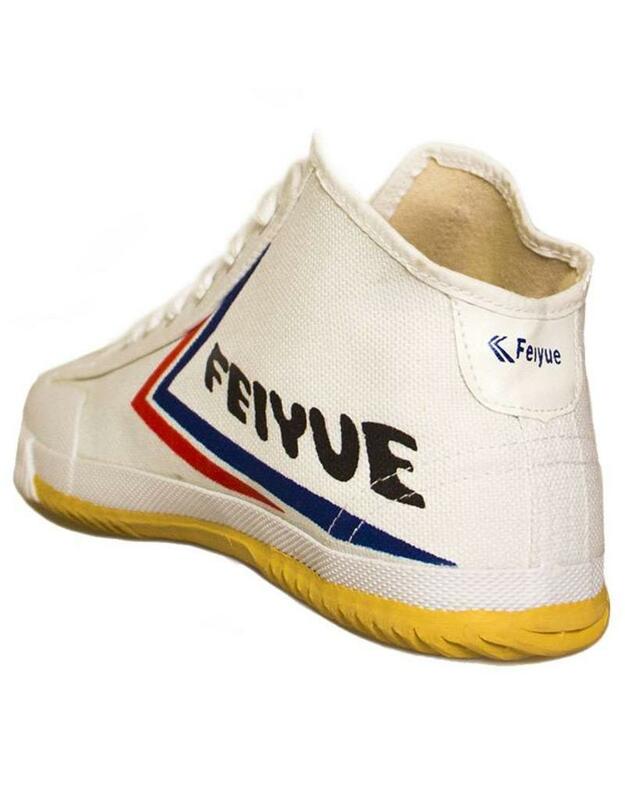 We get loads of Parkour guys, who have fallen in love with the Feiyue and want the extra ankle support from the high top. 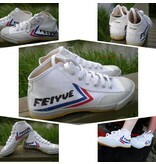 We also get people who just love the look, the comfort and feel they get from the Feiyue design. 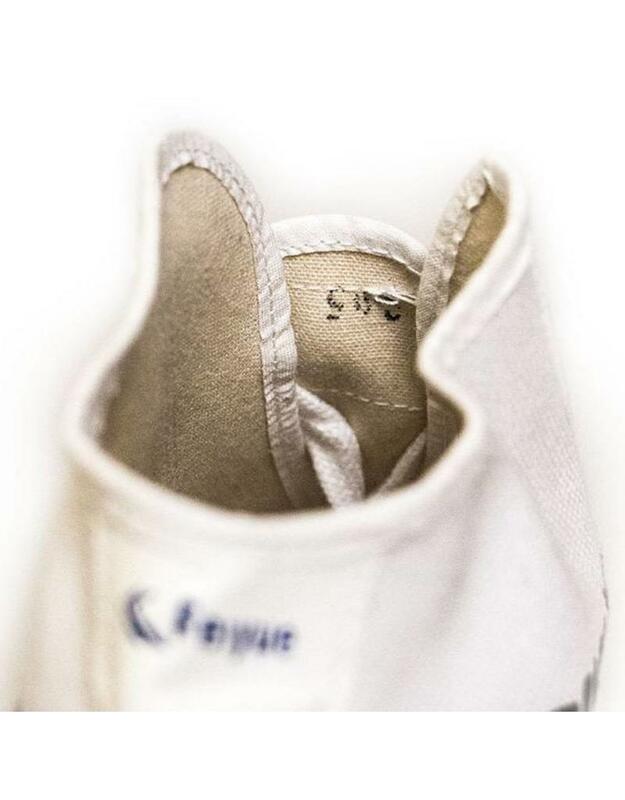 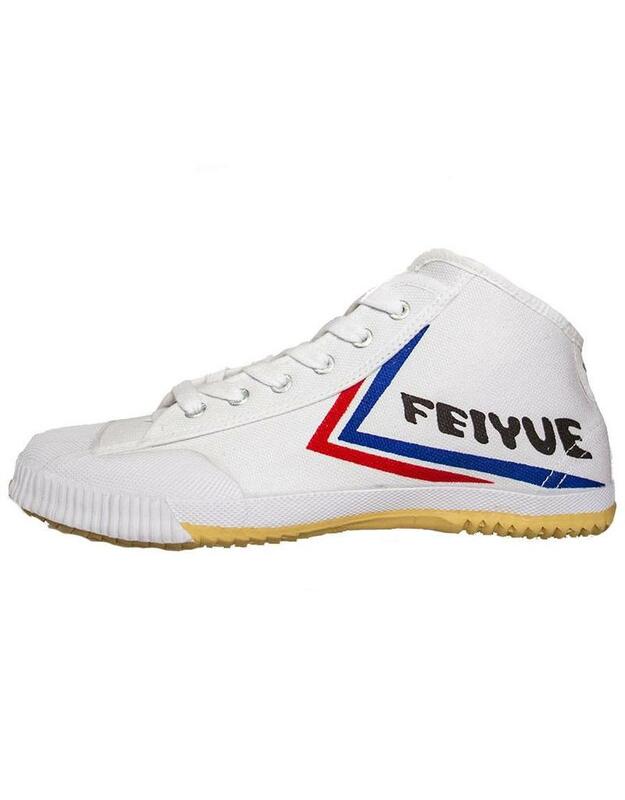 So what do you get from a Feiyue High Top shoe? 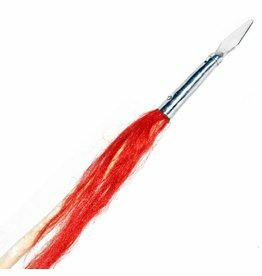 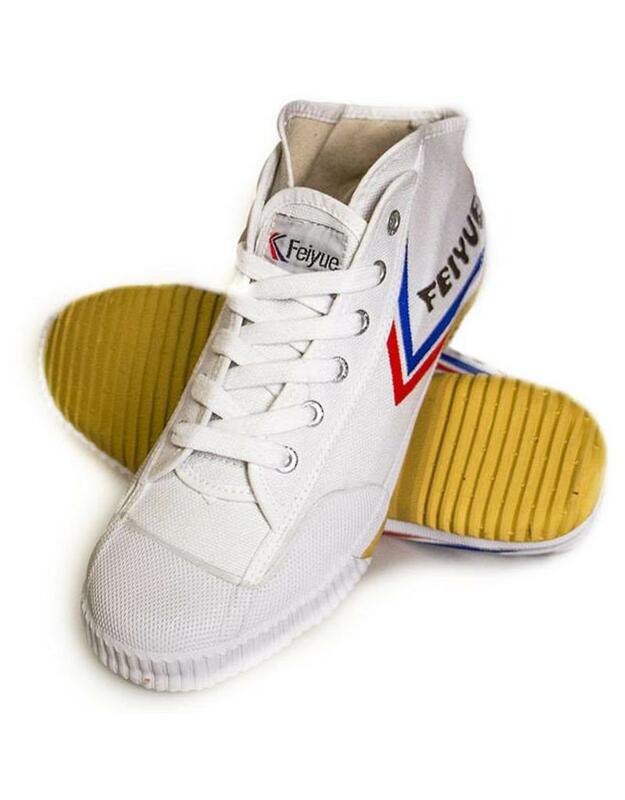 You get an amazingly grippy sole, super soft rubber which moulds round the sole of your foot and continues up the sides, giving grip from all angles. 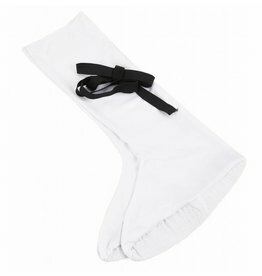 The top is a black canvas, which is super breathable and lightweight. 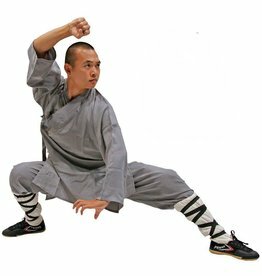 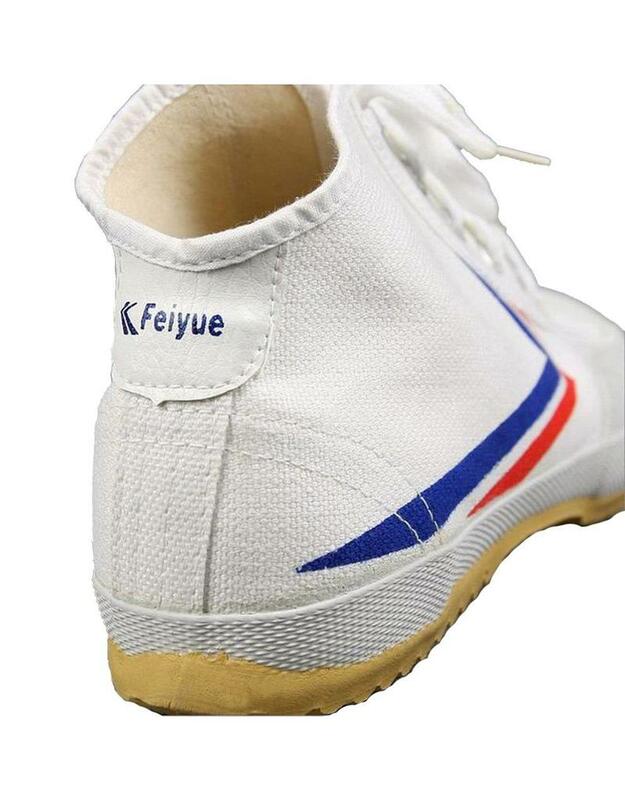 The shoes are super flexible and hug your feet, giving you all the freedom you need for your Martial Arts, Kung Fu, Circus skills or Parkour. 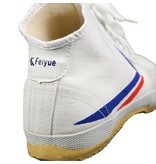 The added High top height of the shoe gives extra ankle support than the standard Feiyue shoe, perfect if your ankles are put under extra stress from your practice. 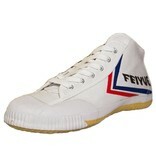 One reason why the circus guys like them so much. 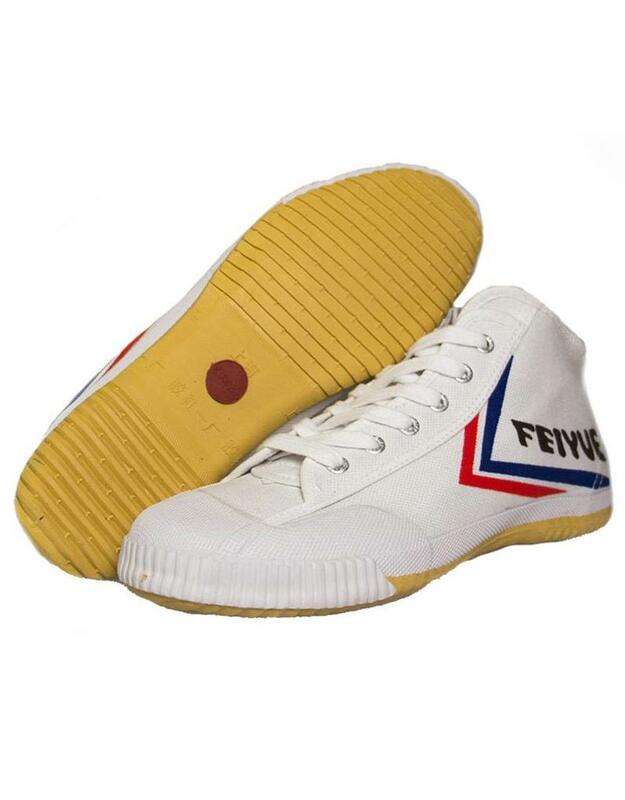 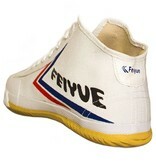 These Feiyue High Tops White Shoes are Shanghai DaFu style and are almost identical to the Original Top One design. 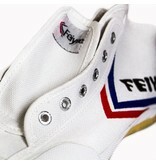 The main difference is the symbol on the sole, either a green or red triangle or a green or red circle. 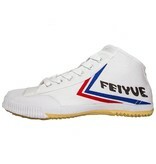 Each symbol carries slight variations even though all these shoes are made in the same Feiyue Factory in Shanghai. 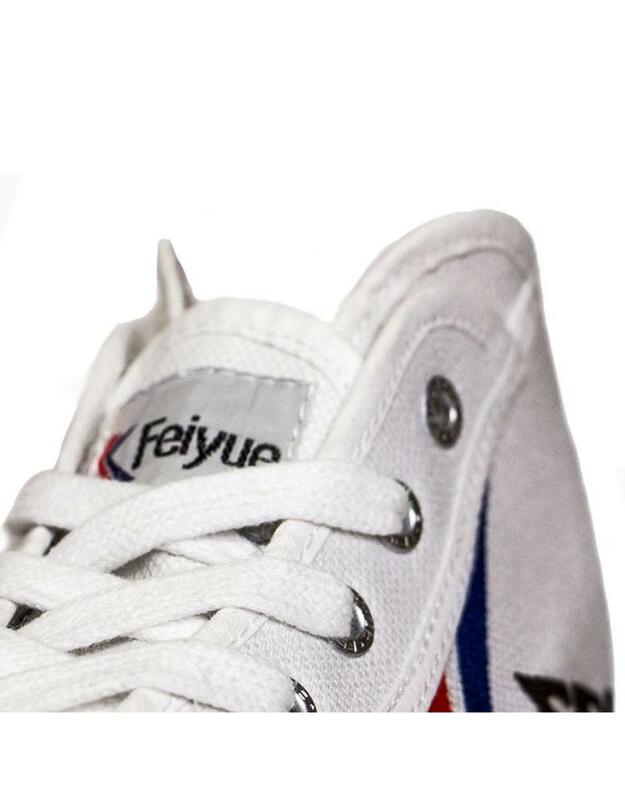 Real Feiyue buffs will notice slight variations in the ‘feel’ of the sole from the Top One Feiyues. 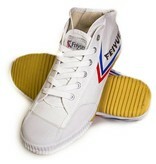 We stock the Top One styles for the low tops and we’d love to have them in high tops too. 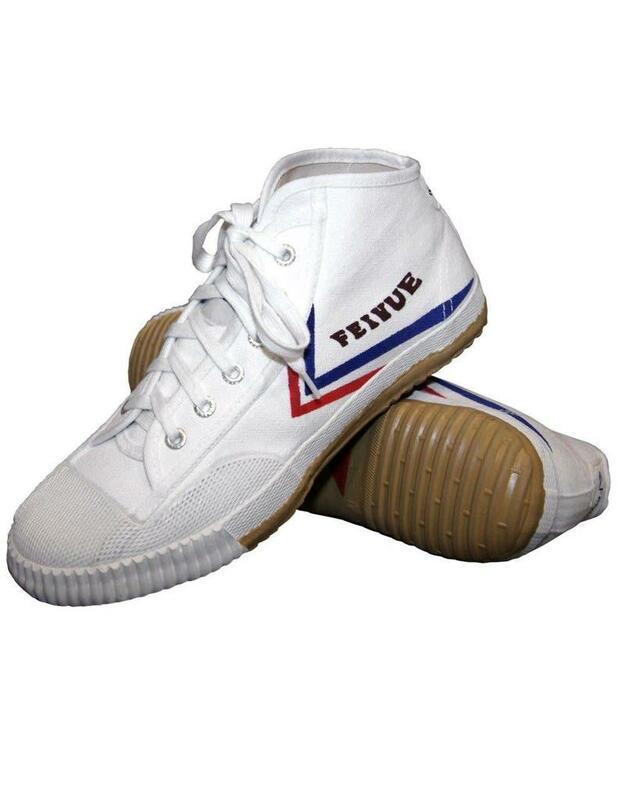 Unfortunately the supply of high tops is so tricky we literally grab whatever we can get. 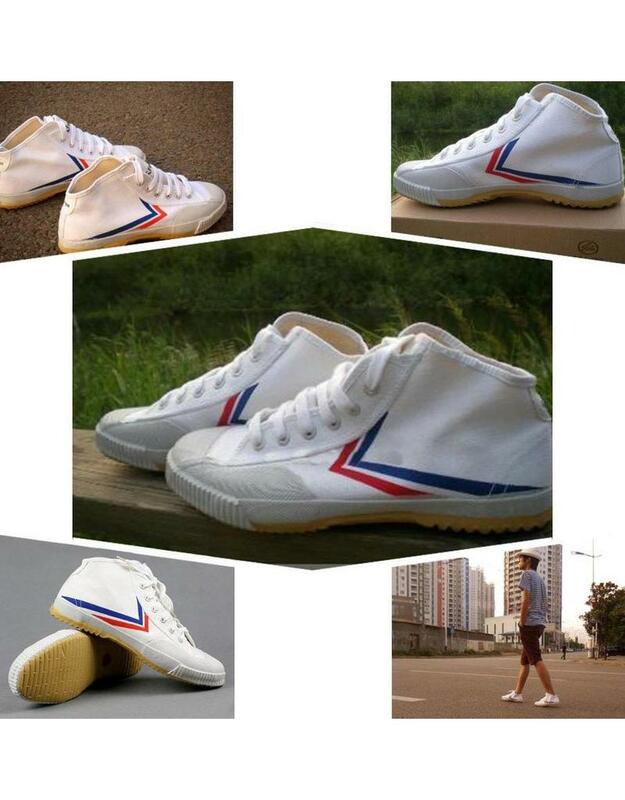 High Tops have always been a bit elusive so we’re happy to just have them in. 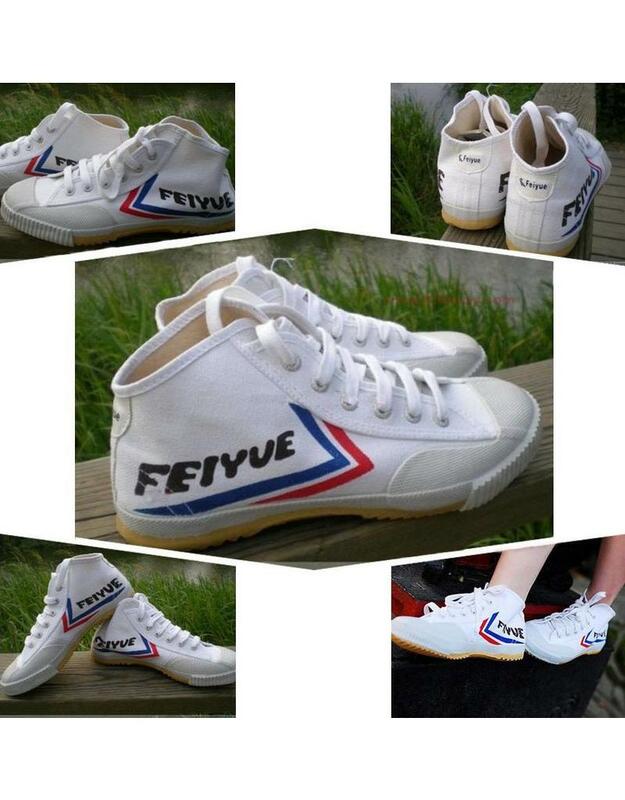 These Feiyue High Tops White Shoes come in European sizes. 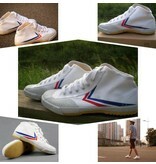 They are a pretty good fit to what is ‘normal’ but always go bigger if you’re normally somewhere in the middle. 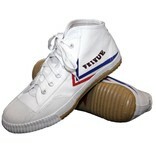 For example if you’re usually an UK8 then buy a EU42, if you are normally a UK8.5 buy a EU43. 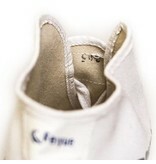 Check out our size chart for you UK size.